Formed in 2009 in Chapel Hill, North Carolina around the talents of singer/songwriter and multi-instrumentalist Andrew Marlin and violinist/guitarist Emily Frantz, Mandolin Orange draw from wells both old and new, offering up a heady mix of bluegrass, gospel, folk, country, and pop that invokes the earthy timelessness (and effortless harmonies) of Gillian Welch and David Rawlings, the sweet unpredictability of Nickel Creek, and the rich, gothic Americana of the Civil Wars. Mandolin Orange originally performed and recorded as a duo on 2013's This Side of Jordan and 2015's Such Jubilee, but they expanded to a full band with 2016's Blindfaller, adding richer dynamics to their songs without spoiling their evocative Appalachian sound. Partners in music and life, Marlin and Frantz released their self-produced debut, Quiet Little Room, through CD Baby in 2010, followed by the ambitious double album Haste Make/Hard Hearted Stranger in 2011. The duo inked a deal with Yep Roc for their third long-player, 2013's This Side of Jordan, which ended up on NPR's year-end list of the best folk and Americana albums. 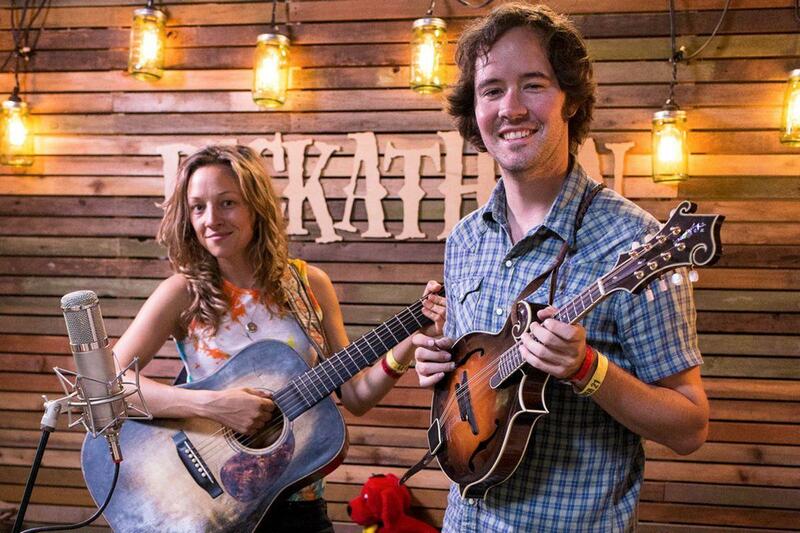 Mandolin Orange's fourth album, Such Jubilee, was written on the road (all ten songs came from Marlin's pen) and given a warm, sparing recording by the duo alone at Echo Mountain studio in Asheville, North Carolina. For album number five, 2016's Blindfaller, the group expanded to a six-piece, with Marlin and Frantz joined in the studio by Josh Oliver on keyboards and guitar, Allyn Love on pedal steel, Clint Mullican on bass, and Kyle Keegan on drums. 2019's Tides of a Teardrop once again found Marlin and Frantz backed by an ensemble; Mullican returned on bass and baritone guitar, as did Oliver on guitars and keyboards, while Joe Westerlund made his debut as drummer with the group.